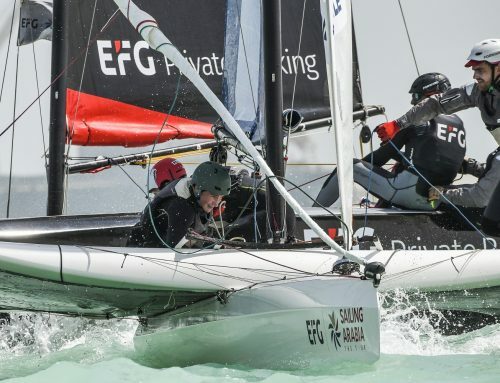 Muscat, February 9 2019: Masirah Island was again the setting for an exhilarating day of racing on Saturday for the 10 international teams competing in EFG Sailing Arabia – The Tour. Ideal sailing conditions under blue skies saw a steady breeze of eight to 14 knots, but with plenty of big shifts in wind direction to keep the crews on their toes and keep race outcomes in doubt, often until the final leg. 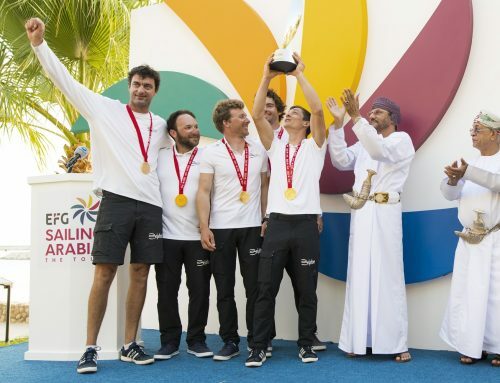 It was also a day that produced dramatic changes to the leaderboard, with defending champions Beijaflore starting to show the kind of form that saw them win the 2018 Sailing Arabia event. 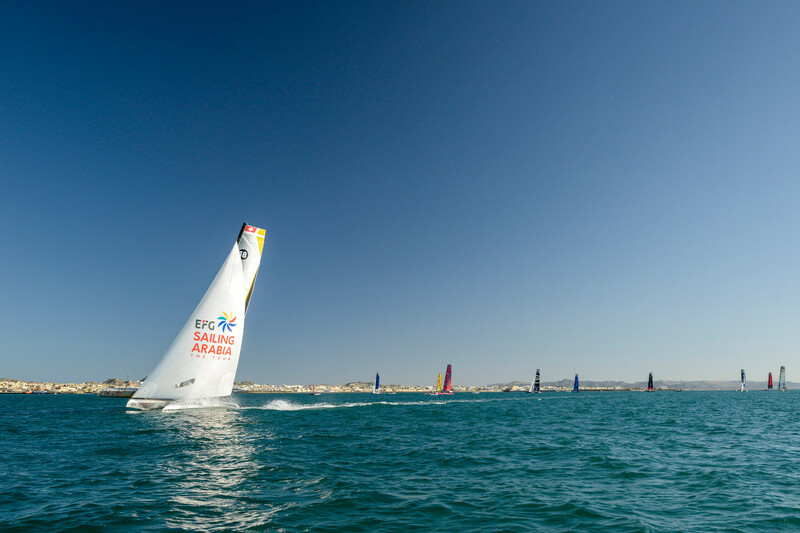 In the main race of the day – the 21 nautical mile Masirah Raid – the French team were down in seventh place at the first mark of the course, and over three minutes behind early leaders Oman Shipping Company at the second mark. 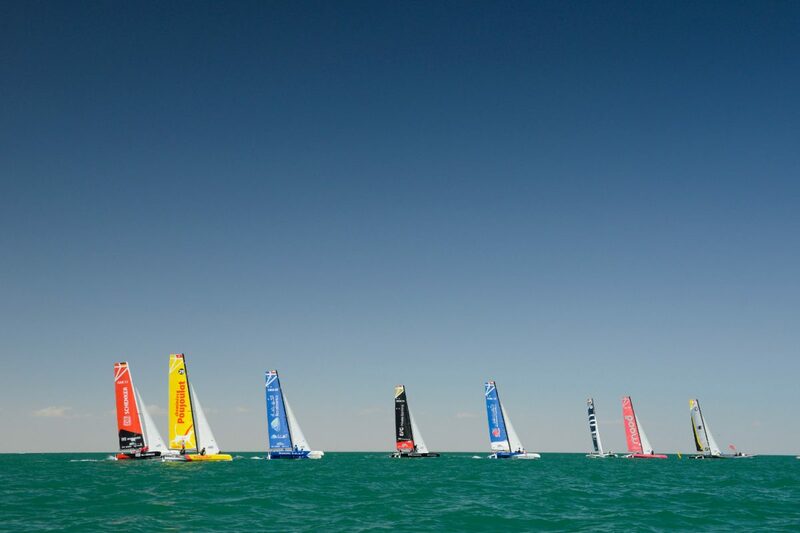 From there they battled back into contention, taking full advantage of the many shifts around the coastal course that saw big changes across the fleet like a game of snakes and ladders. 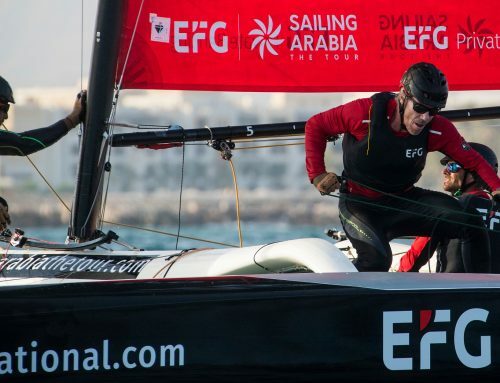 By the finish Beijaflore had edged ahead of Stevie Morrison’s team on Oman Shipping to take their first victory of the Tour, a result that propelled them from an overnight sixth place up to second overall, just three points behind the leading Cheminée Poujoulat team. Beijaflore’s skipper Valentin Bellet said: “I am happy as this marks the start of the Tour for us. It is a crucial day as this is our first win of the regatta, and to take it on a coastal raid is very good for the whole team. “We were swopping the lead with Stevie, who has a very good team aboard his boat, and finally we were able to finish first. The long coastal race was followed by two intense Stadium races, with the Seaflotech team adding another race win to their tally, along with a second place to finish the day on a high. Skipper Sofian Bouvet said: “There were changes in the wind direction of up to 30 degrees on occasion, so very shifty with some very big changes. 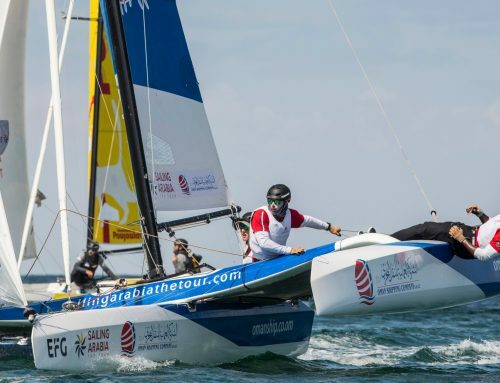 Their good day on the water also saw Seaflotech move up the overall Tour ranking to third place, in what is becoming a very close contest at the top of the table. A win in Saturday’s other Stadium race has kept Cheminée Poujoulat on top, but by a reduced margin. 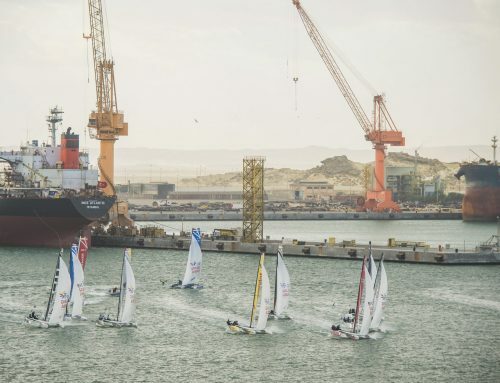 Oman Shipping Company and Mood have both slipped a place overall, to fourth and fifth respectively, with Golfe du Morbihan now sixth ahead of CER Geneva, EFG Bank, Renaissance and DB Schenker.